I continue to work on a kitchen remodel in unincorporated Glen Ellyn. This home is on well and septic which can present its own problems. 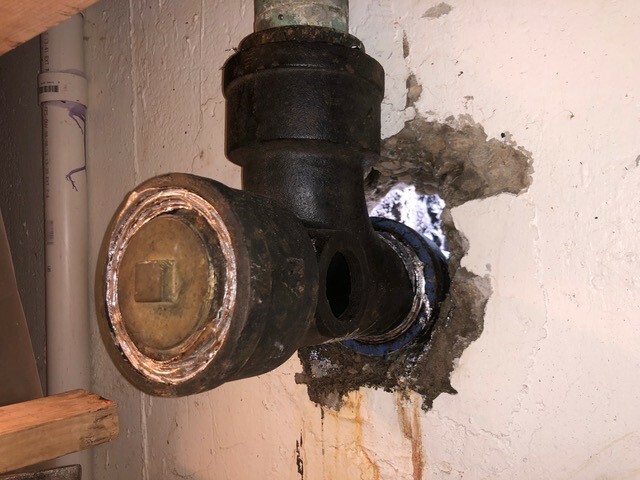 When the county plumbing inspector came out he told us that he needed to upgrade the current cast iron sanitary tee, as the kitchen grey water was being drained incorrectly. 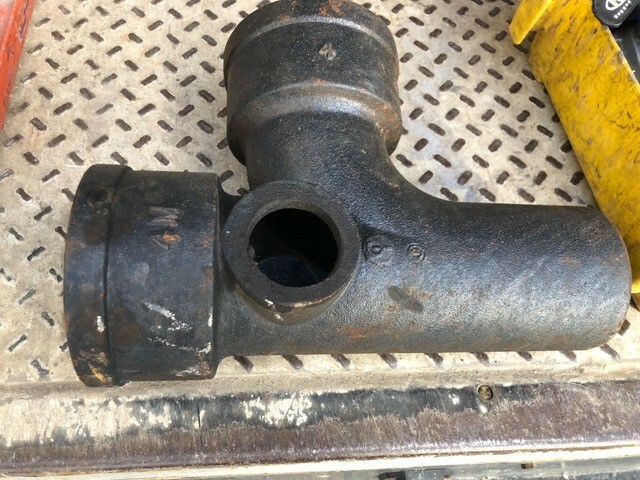 Unfortunately, when my plumber went to change out the old tee he discovered that the hub of the main sewer line was cracked. 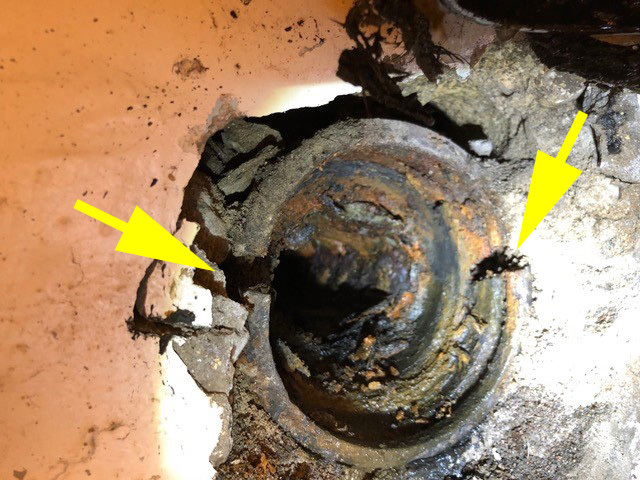 This had happened sometime in the past and presented a real danger to the homeowner. I feared that they could have a major sewage leakage if we didn’t change out a section of the sewer pipe which included the hub. It is great to have an expert plumber on my team. He was able to do the repair on the spot. It was a small hassle for the homeowners, as they had to be without plumbing for a little longer. However, I know that they will be very happy when it rains and they don’t have to sanitize their basement due to it being flooded with raw sewage. I like the fact that I can offer full services to my customers. If you are thinking about any type of remodeling or construction job, please consider Gizmo Home Craft. I would be happy to stop by and give you a free estimate.